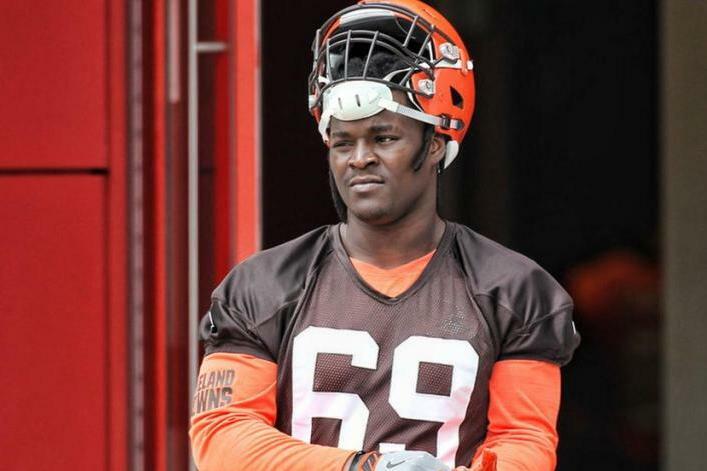 The 6-foot-6, 295-pound Harrison will be in the lineup for the Browns' opener against the Pittsburgh Steelers on Sunday despite a checkered past. "When he came here, we were very excited about him," Browns head coach Hue Jackson said. "There were some things he did in OTAs. You could see it. Then it got to be, how bad did he want to be the left tackle. And he just kept working. It's a heck of a story, but it doesn't matter until game day. He's got to go do it. "He's long, he's athletic. He can run. He's tough. He's all the things that you want. He just hasn't done it yet at this level." "He looks like a left tackle in this league," Bitonio said. "He plays the game the right way. He plays hard. If you watch any of his tape in the preseason or in college, he really finishes guys. He likes to play the right way. You know he's coachable; he's learning. "He hasn't played against some of this competition before, but he's out there, and he's fighting, and he's going against Myles [Garrett] in practice every day, and he's battling, and he's doing his best to be the best he can be for the Browns." "He was so good, we thought we'd only have him for one year and then he'd be drafted high," former Texas head coach Mack Brown told Cleveland.com. Harrison said he was "just being immature."